There is a debate as to whether a blended tea is superior to a single estate tea or vise versa. Both kinds each offer unique qualities. 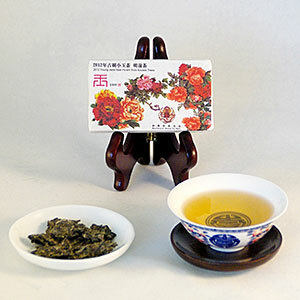 The Young Jade Ming Qian Pu-erh is one of the top-of-the line blended teas produced by Denong Tea Factory. It is made from top grade spring leaves from several famous Pu-erh producing mountains in Xishuangbanna,Yunnan. The resulting tea is a rich, balanced, flavorful blend with excellent qi and mouth-feel. This is a tea that you can drink all day long and still want more.